Blackout was reported at the Murtala Muhammed International Airport in Lagos state on Tuesday following a power outage as passengers were stranded. 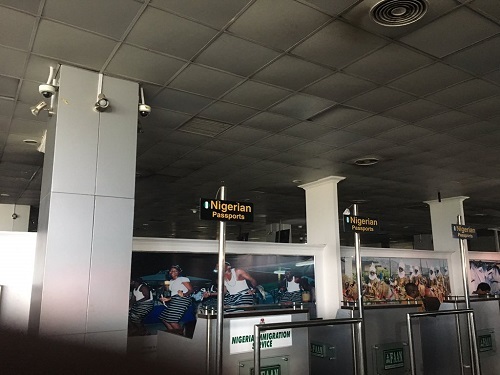 A BBC reporter, identified as Yemisi Adegoke, took to her Twitter page, @briticoyemo, on Tuesday night to reveal how air passengers were stranded on Tuesday at the Murtala Muhammed International Airport, Lagos following a power outage. According to multiple online reports, the passengers were said to have been kept in the dark for hours as immigration officials did not address the anxious crowd, as the airport did not switch to another alternative power while the power outage lasted. It was gathered that the airport officials were said to have taken foreigners among the passengers to another section of the airport where there was power. The light was later restored while passengers were attended to by immigration officials.